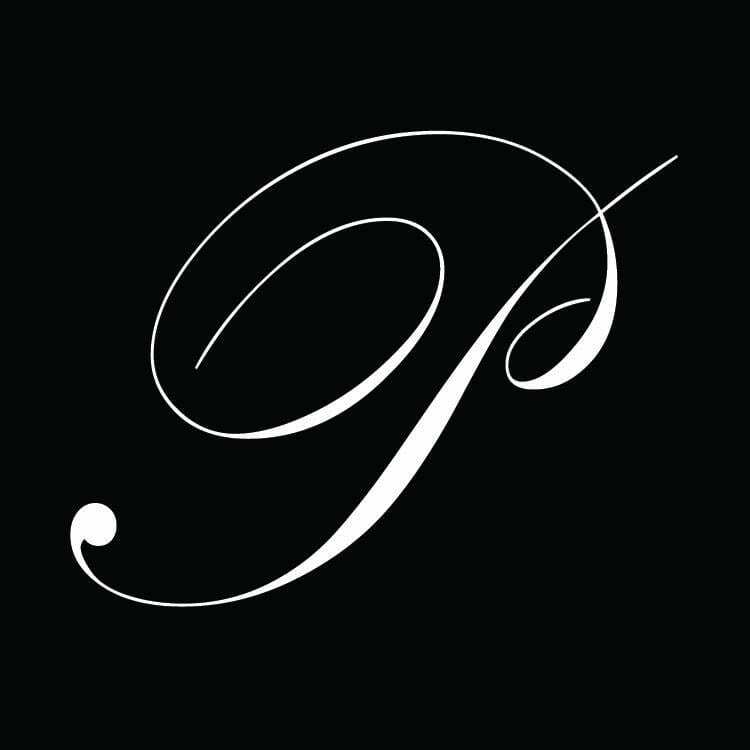 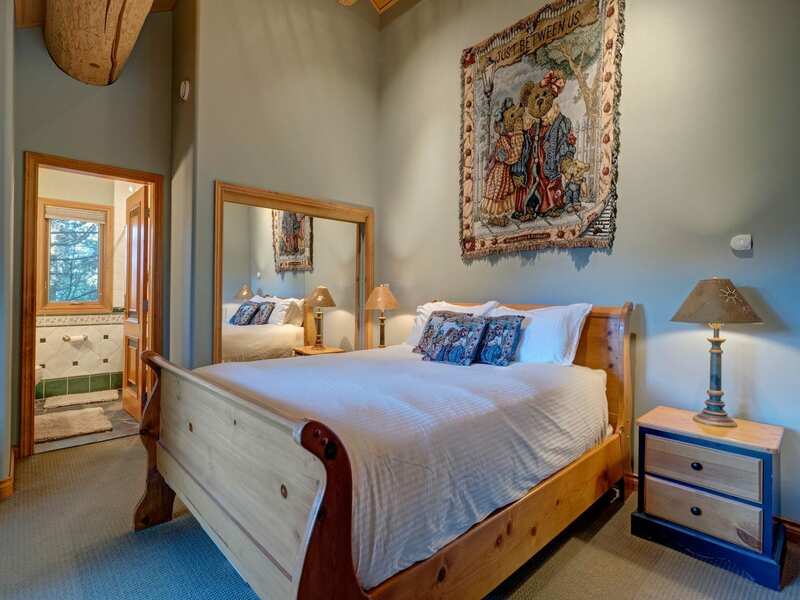 This exclusive luxury executive retreat has all the comforts of a 3,800 sq. 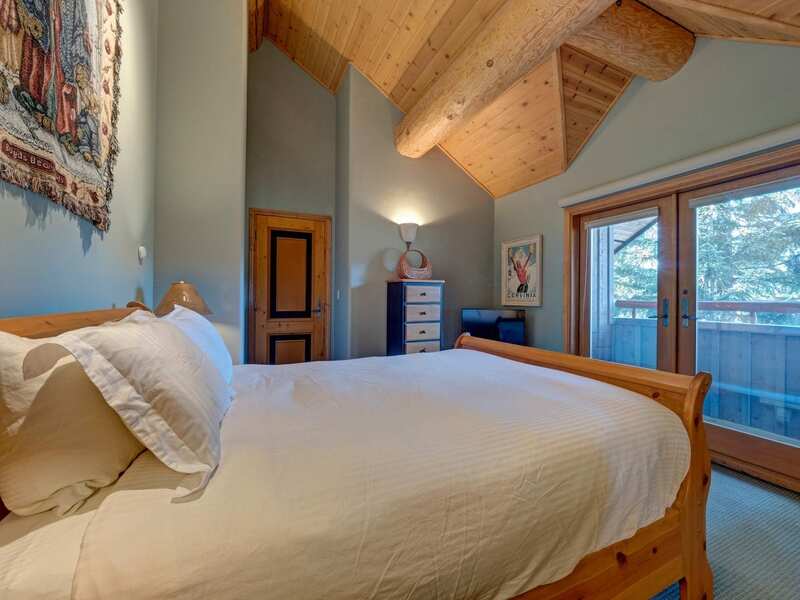 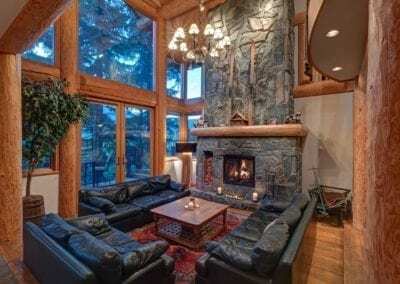 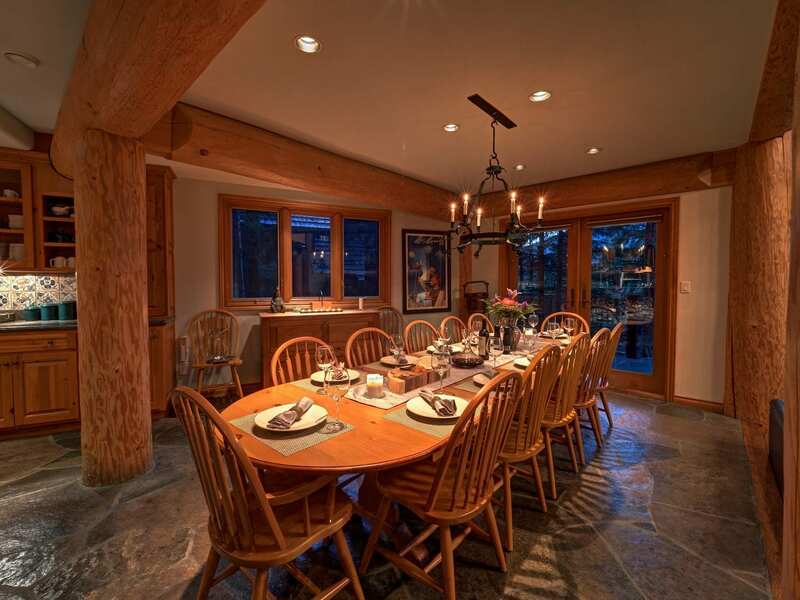 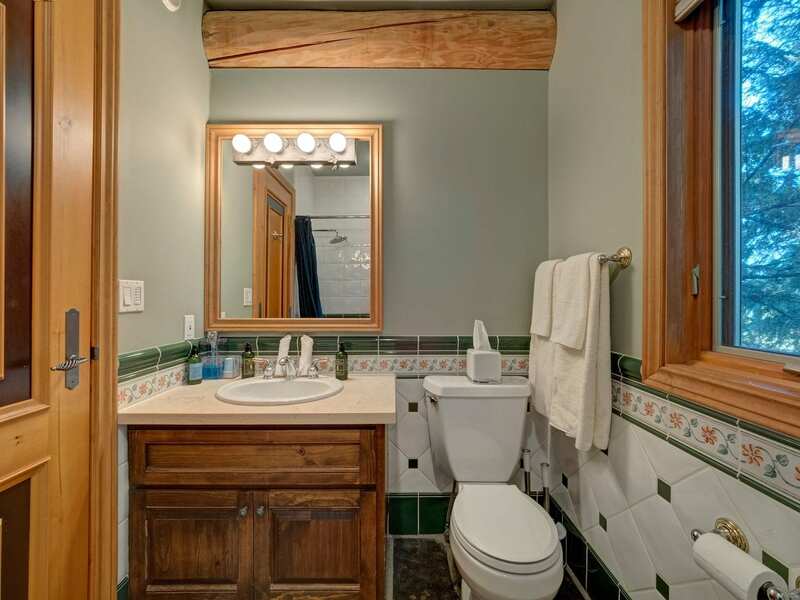 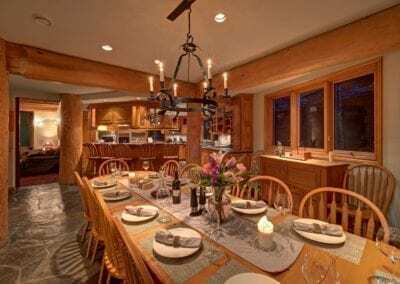 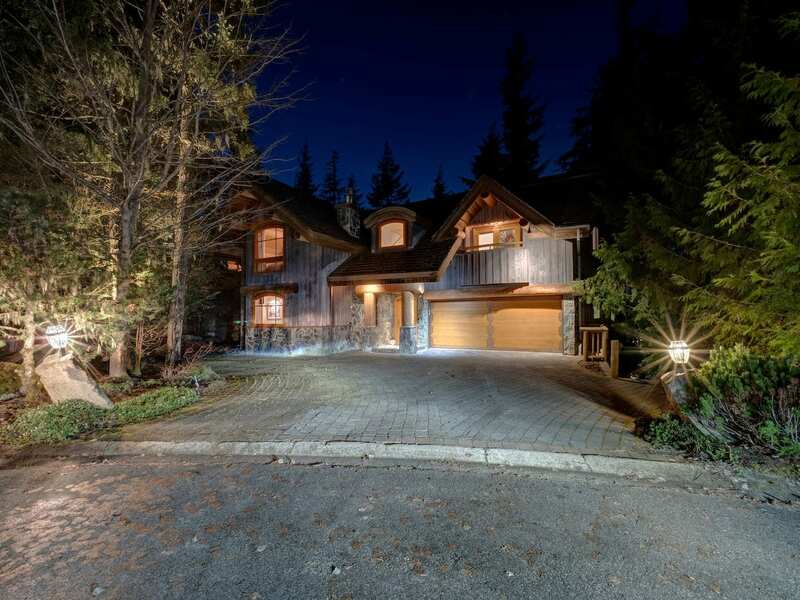 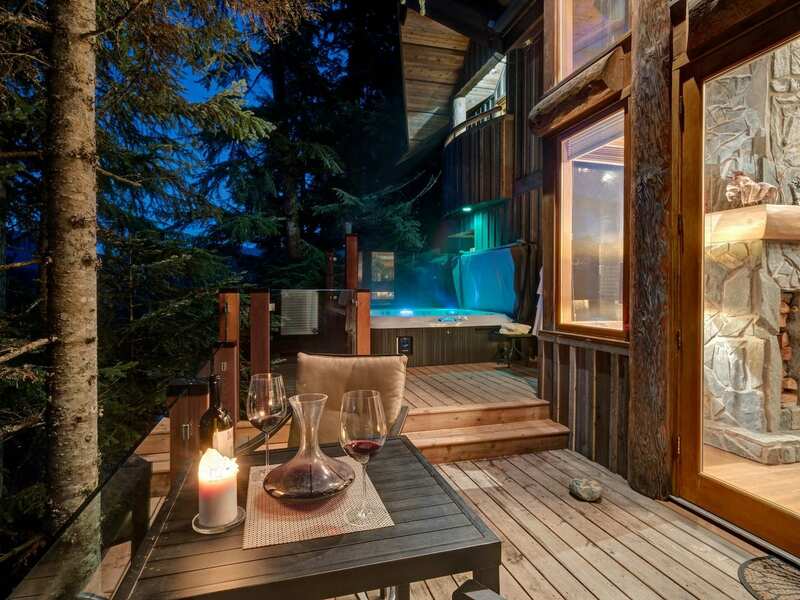 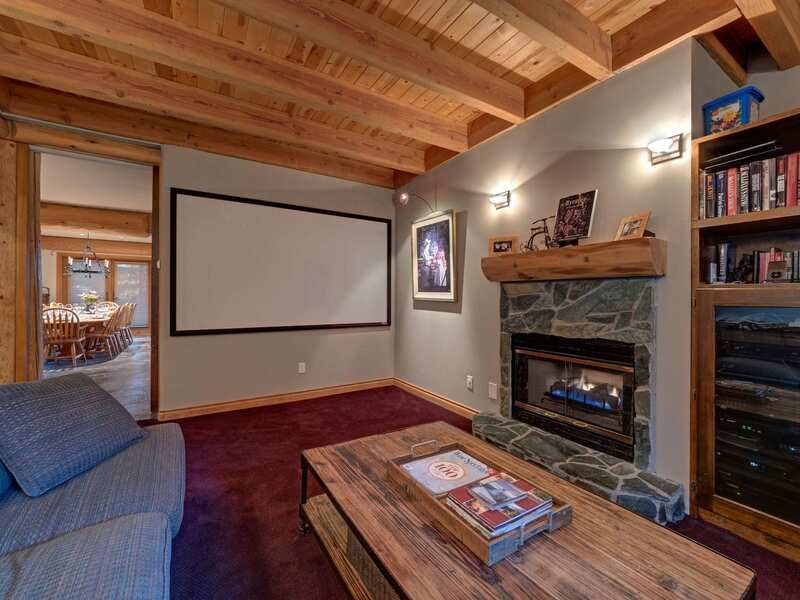 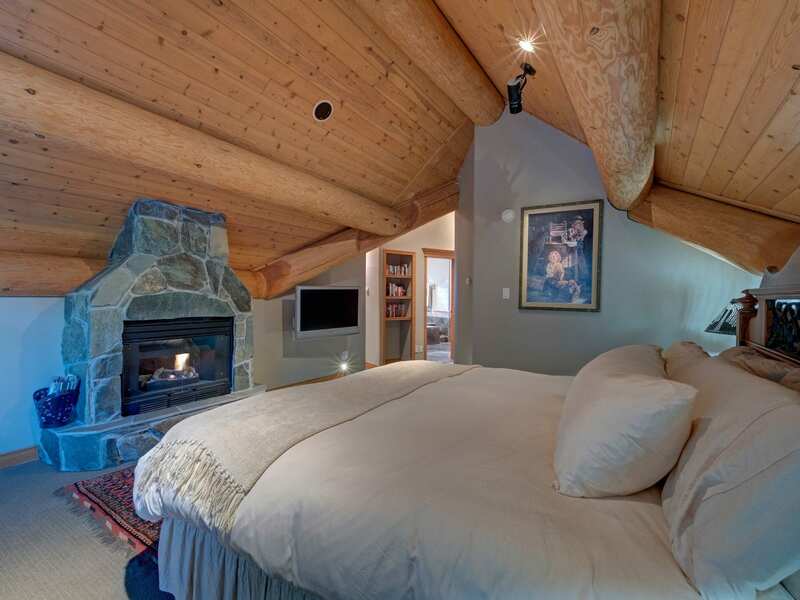 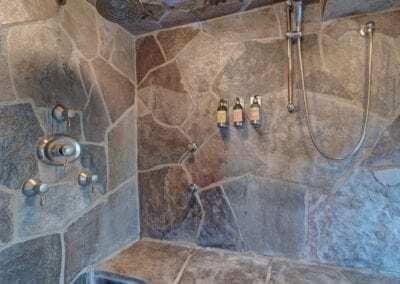 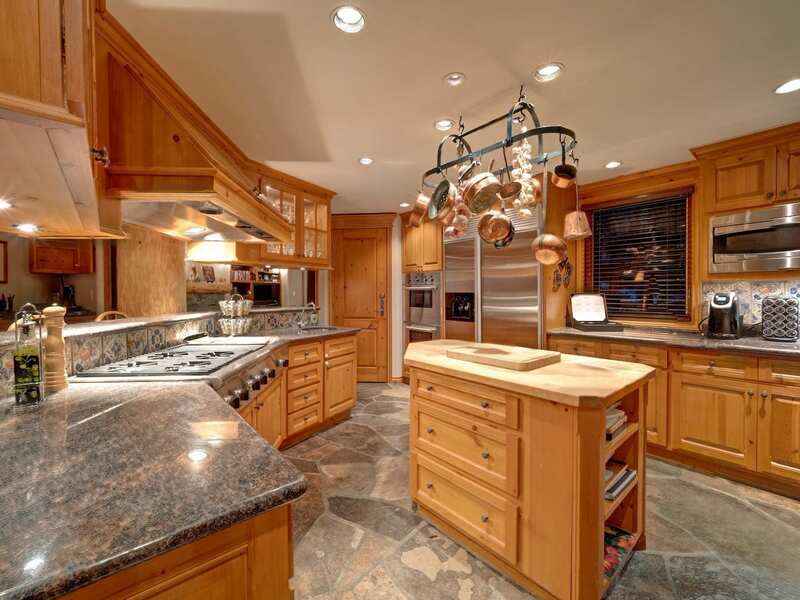 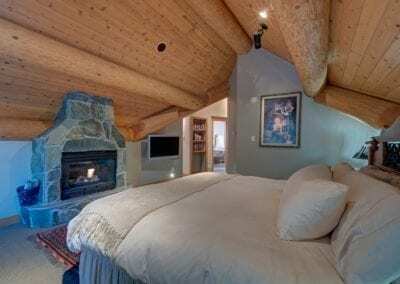 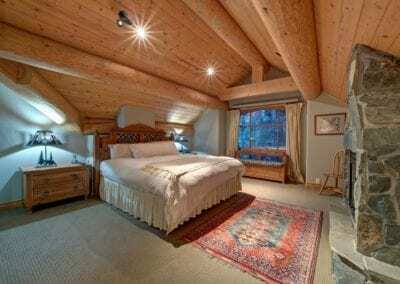 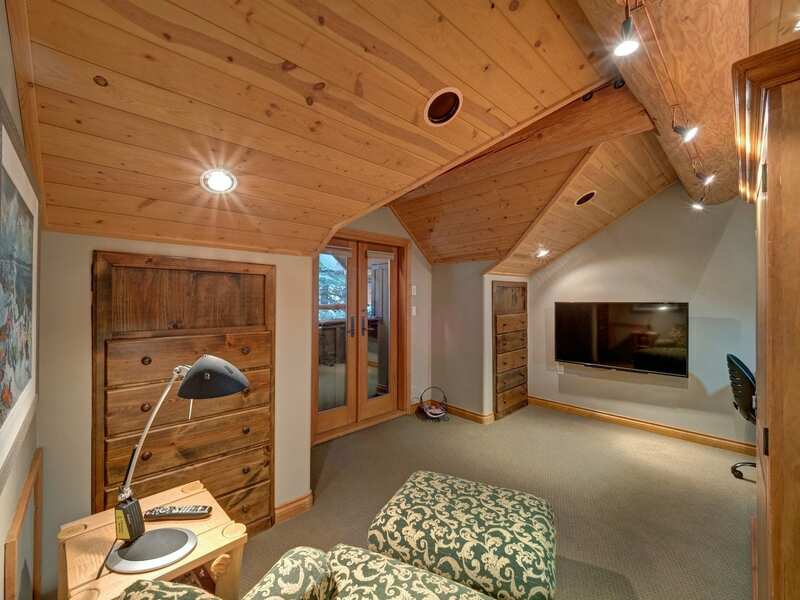 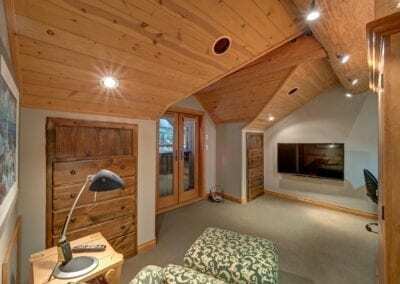 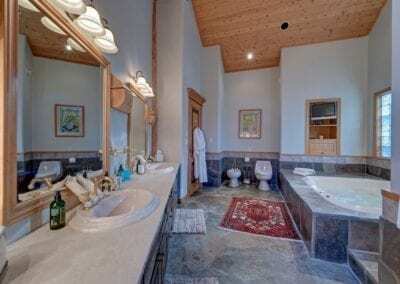 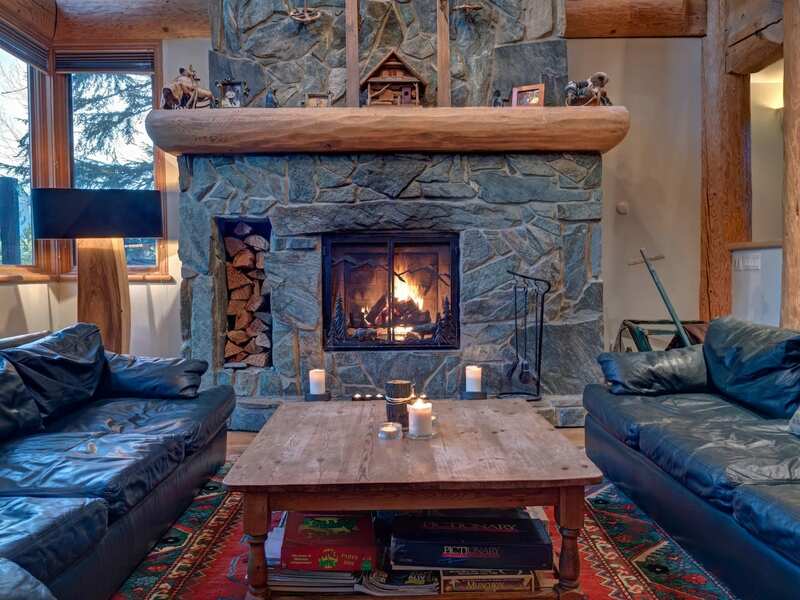 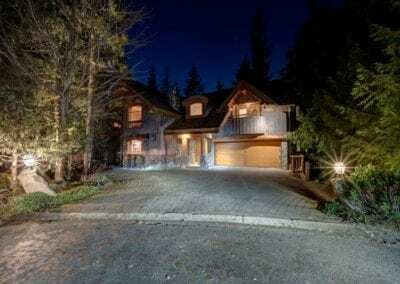 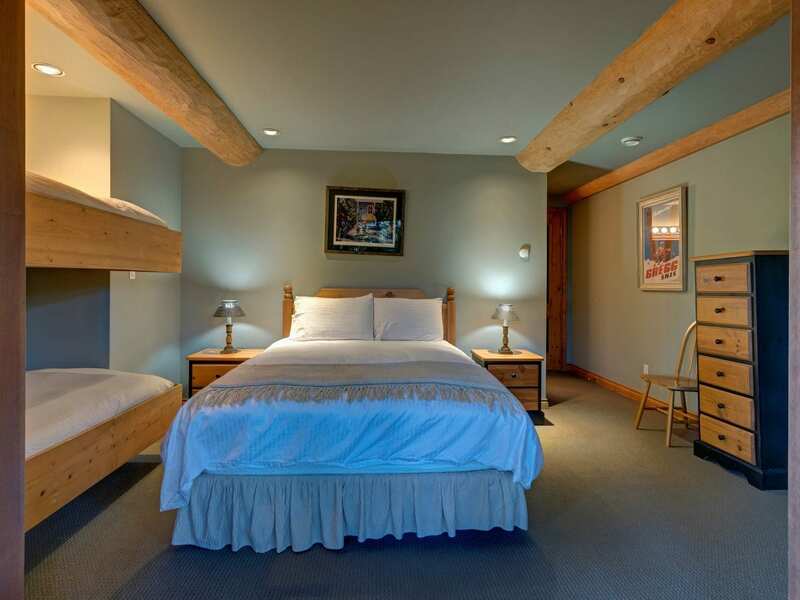 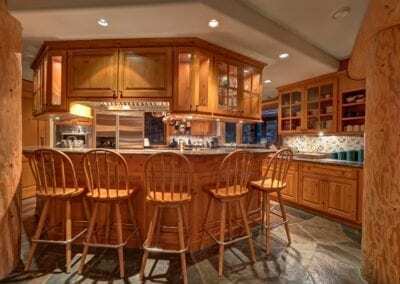 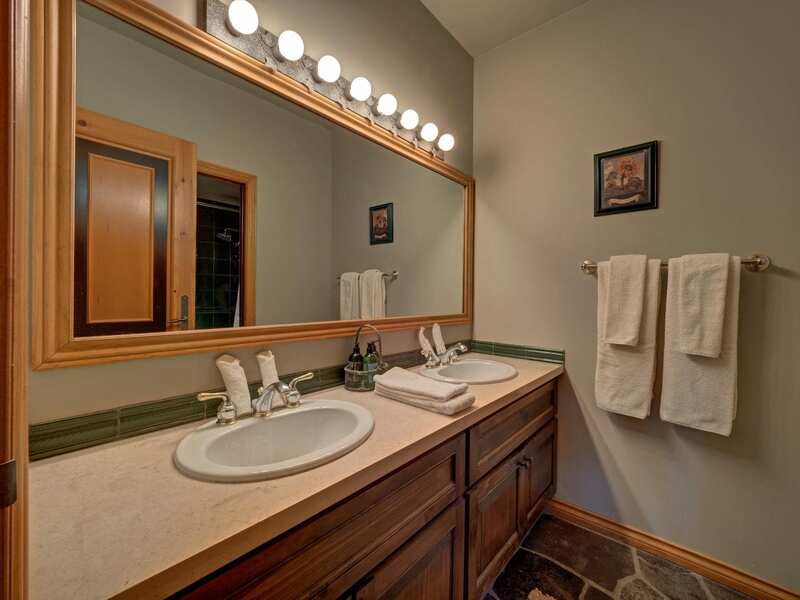 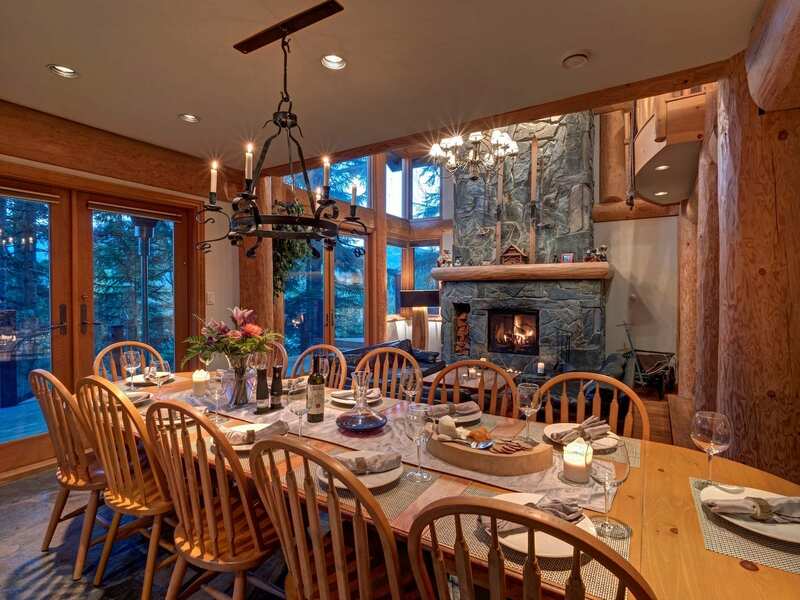 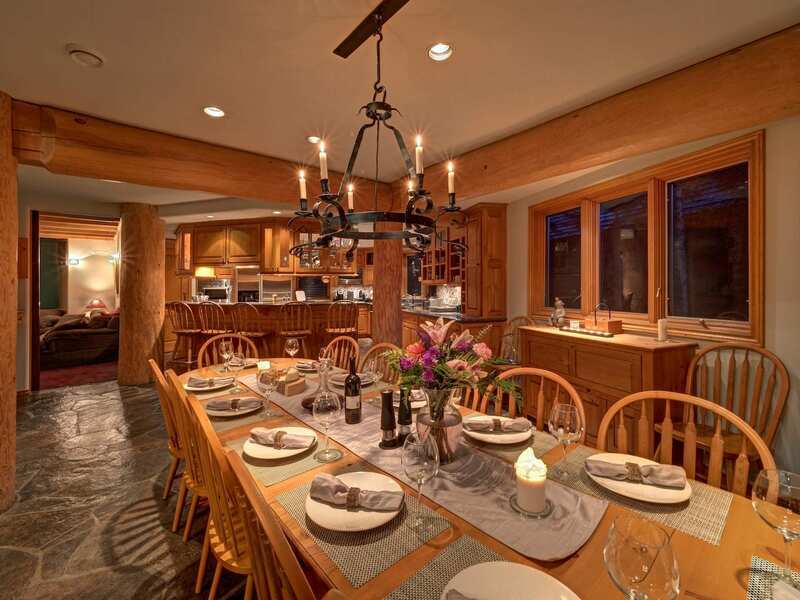 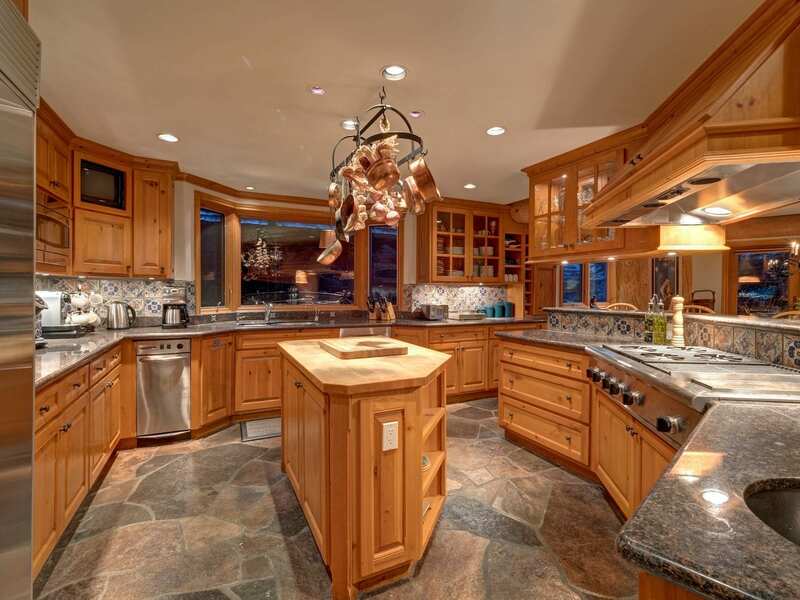 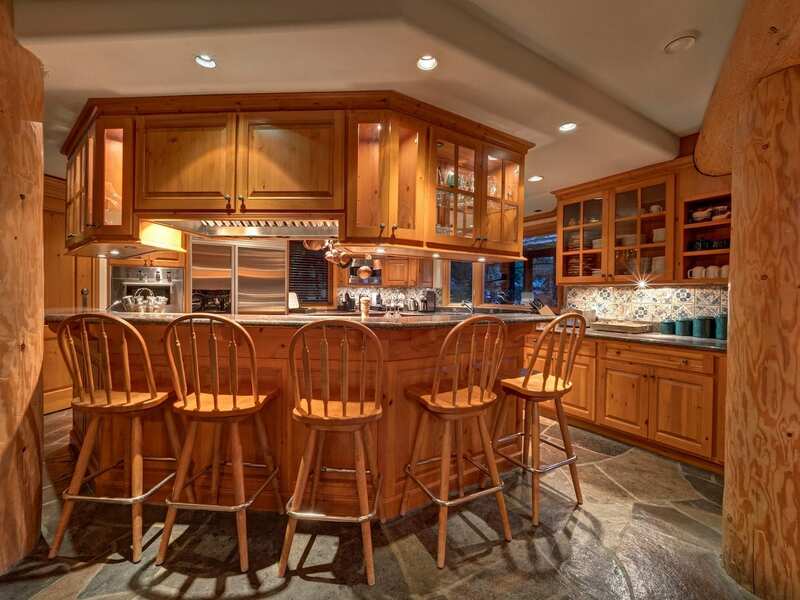 ft. traditional log post and beam ski chalet, with all the modern amenities required in one of the most desired ski home locations in the resort. From its state-of-the art home theatre, to the master bathroom’s eucalyptus steam shower and 2-person Jacuzzi tub, this home has it all. 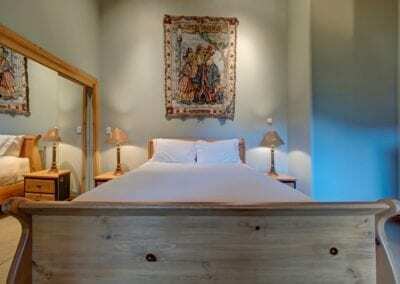 It boasts 5 spacious bedrooms all with luxury linens and a television set; each with their own en-suite bathroom highlighting L’Occataine products. 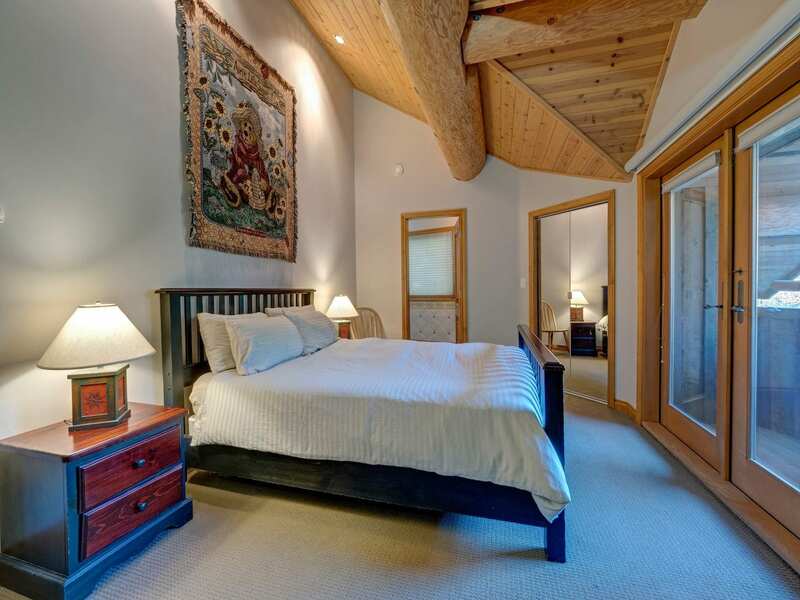 Upstairs the master suite has its own private sitting room with a study for those needing privacy, in addition to the large eucalyptus spa bathroom. 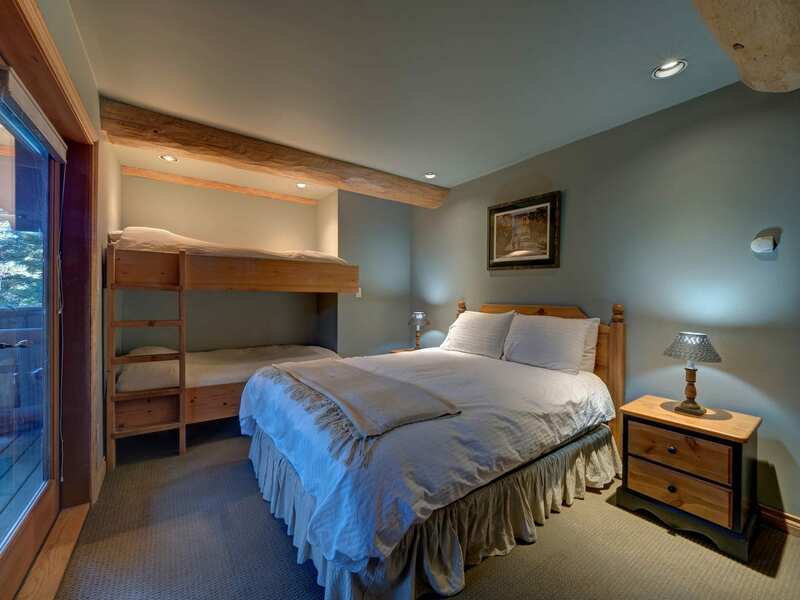 Two other bedrooms occupy this level with queen beds. 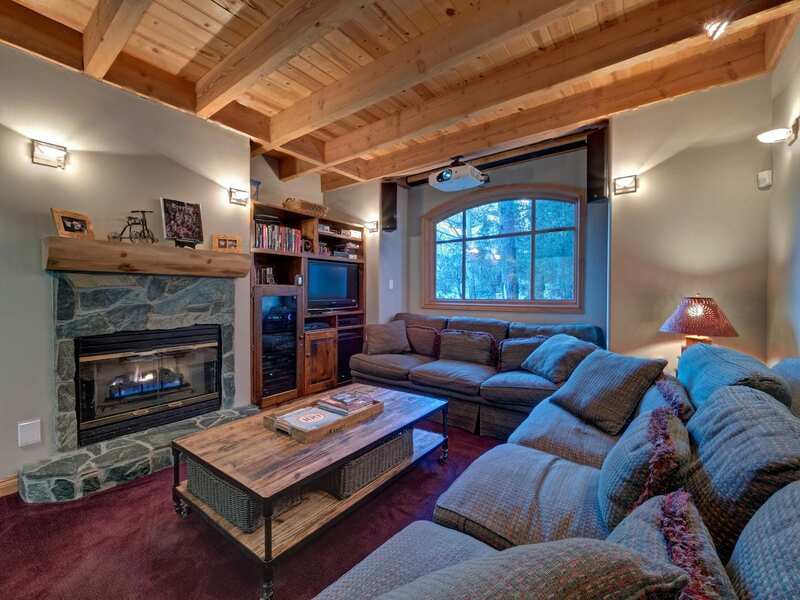 The central and spacious sunken living room with vaulted ceilings features a huge wood burning fireplace, a dining room that seats up to 20 guests, and a fully stocked gourmet kitchen that is perfectly set up for a chef, including 6 burner gas range, stainless side-by side fridge and your choice of Nespresso, Kurig or fresh ground beans to wake up to in the morning. 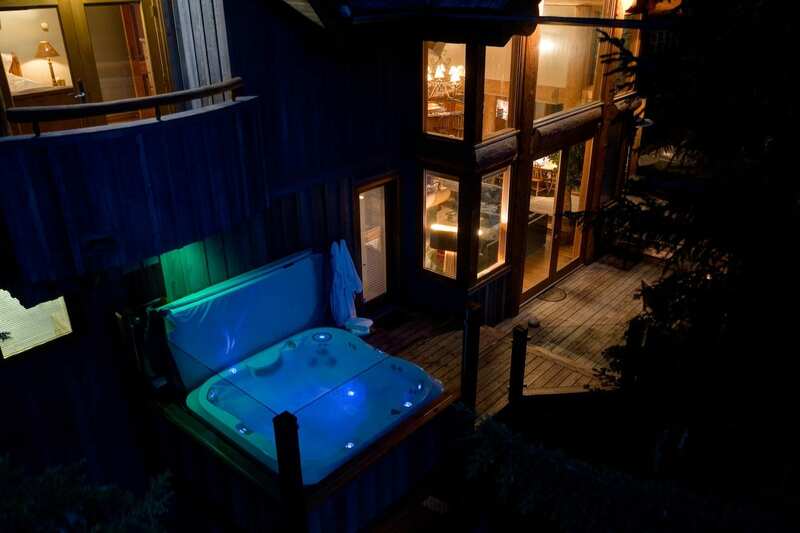 Entertain and play your own music throughout the house – including right in the new hot tub that has its own blue-tooth connection. 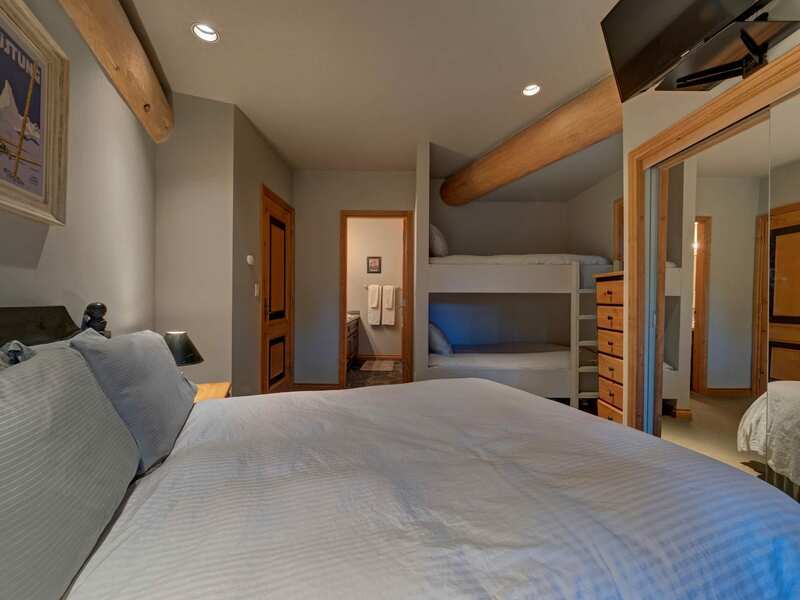 It’s just a short 8-minute walk to the hill where you can ski down to the new 10 passenger gondola whisking you the fastest way to the alpine. 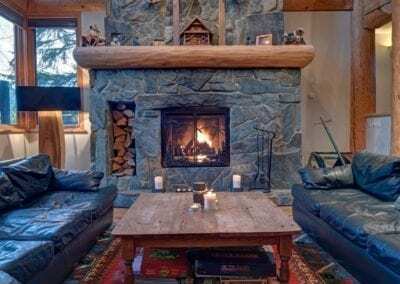 At the end of the day, you literally ski right to your front door, or if you prefer après in the village, the free shuttle brings you right back to a 3 min walk to the house. 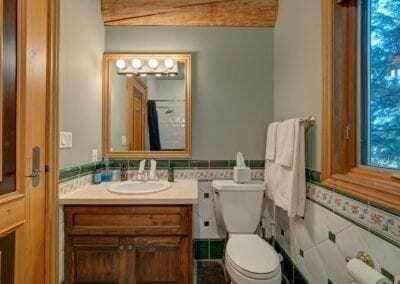 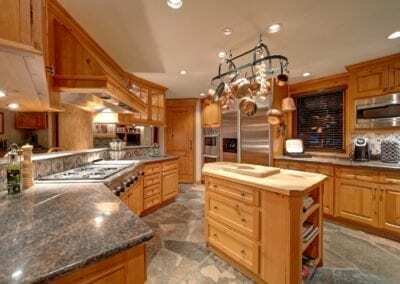 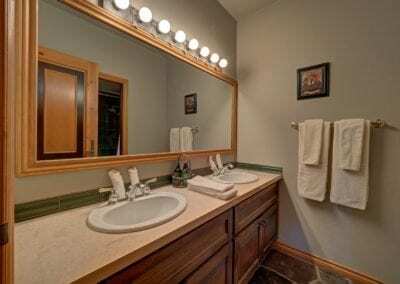 The owners use this house frequently so it has all the necessities of a lived-in home and is cared for that way. 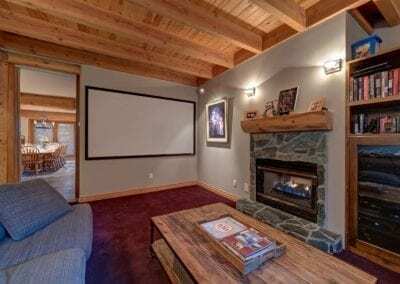 Rental times are limited, so it is advised to book early. 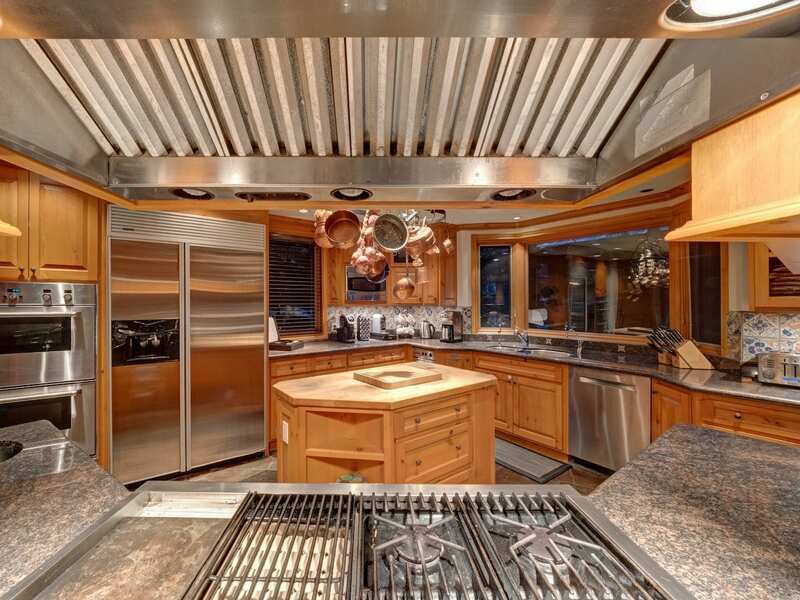 Note: The home has a private caretakers suite underneath and to the side. 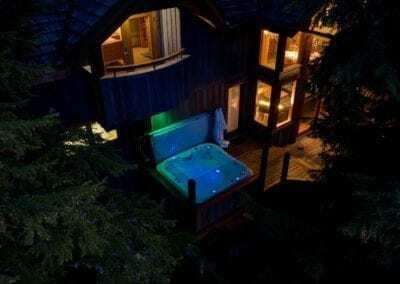 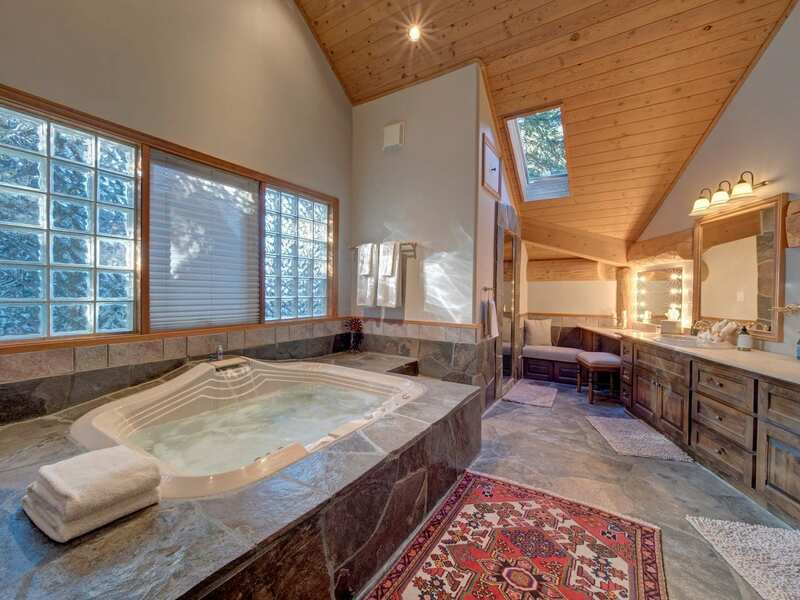 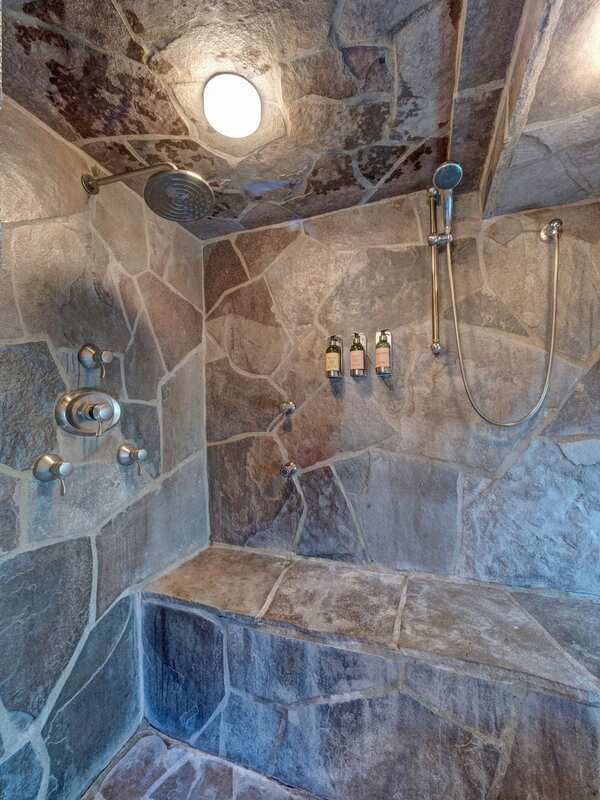 The in home-spa features a eucalyptus steam shower and jacuzzi bathtub. 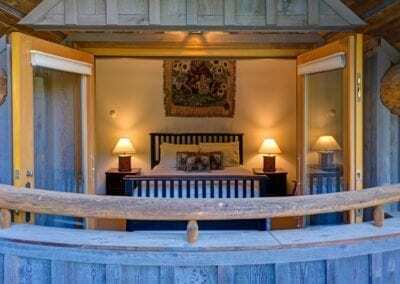 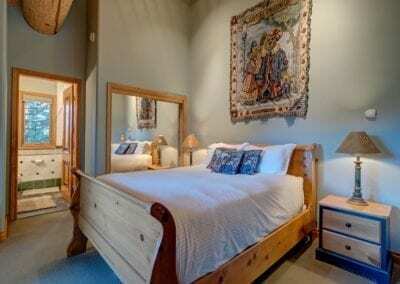 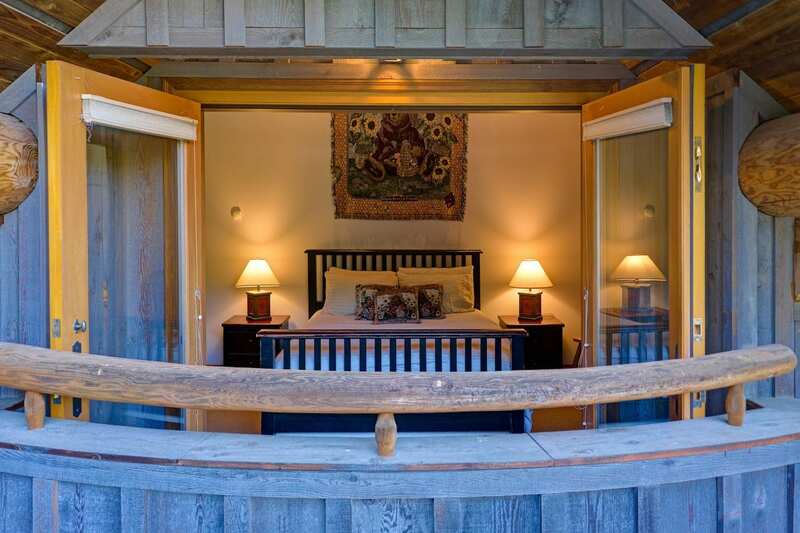 All bedrooms have a private balcony, allowing all guests to enjoy the views and fresh air.